As the time elapses dramatically, a lot of things have been an in blur state in our mind. However, in the digital era, with the rapid development of various media technology, time, to some extent, can be paused in the form of videos and images. You can save your beautiful memory in the form of videos and pictures which can be extended to all kinds of formats due to the great help that the digital devices brought. Things are old, but once they are found to be shared in the public, the memories would present in a vivid way which can be a tracing line to our past. Does it sound a little bit nostalgic? Today we are not going to depict a nostalgic story. Instead, we will find out these older digital devices, such as VHS and we can share the content from the past in a modern way. For the young generation, perhaps DVD and Blu-ray are quite familiar to them. But VHS or VCR can make them feel a bit puzzled. Today in the following article, we are going to find a linking bridge between them and evoke the old memories to be presented in the high definition Blu-ray format. What is VHS actually? In a general term, VHS refers to Video Home System or a widely-adopted videocassette recording (VCR) technology that is using a videocassette tape to record video and sound. Invented and developed by Japan Victor Company (JVC) in 1976, VHS has been adopted by many homes to use as a popular way to record video and sounds in the 1980s and 1990s. During that period, “videocassette”, “videotape” and some terms related to videos all referred to the VHS format and people were inclined to record broadcast television with VHS all the time. In the beginning, VHS was short for Vertical Helical Scan and later was changed as the trend Video Home System. It firstly used magnetic tap 1/2 inch in width and VHS cassettes can be recorded using a video camera. In terms of the physical outlook, a VHS cassette is quite thick and heavy than a DVD or Blu-ray disc nowadays. After firstly invented in 1976, later in 1983, JVC updated VHS to VHS-C in order to be differentiated from Sony’s Video 8 (V8). In 1987, Super VHS was born and the level resolve degree up soared from 240 lines to 400 lines. What’s more, in 1992, VHS was developed to embody Hi-Vision program and broadcast Hi-Vision menu. Just as mentioned at the beginning, in this article will introduce you to more detailed information about the way on how to convert the traditional VHS to the modern Blu-ray so as you can convert your precious memory in VHS whenever you want. Before getting this issue solved, more explanation about the necessity to convert VHS to Blu-ray will be presented first. It would be better if you know why you should convert VHS to Blu-ray before you spend your time in finding ways to solve it. Then, why should you convert VHS to Blu-ray? Concerning VHS video, the main disadvantage of it is the low definition which only presents 200 to 300 lines. It still fails to meet people’s requirements on the high definition quality. Then, as a main method to record video and sound in the 80s and 90s, VHS video tapes were captured by a video camera and can only be played on a specific video recorder or video tape recorder, which means if you want to play the video or share the video with others, you have to bring such a large video recorder with you so as to play the VHS videos successfully. But the large-sized video recorder makes it quite difficult to play videotapes and also a video recorder is not cheap and not quite easy to get in some retail stores nowadays. Thirdly, the videotapes are not so easy to keep in a good condition. In many cases, when you try to play the videotapes on the video recorder, you may find that the videotapes can’t be played successfully due to some slight scratch and other kinds of damages. However, on the opposite side, as one of the mainstream media format nowadays, Blu-ray disc has been quite popularized and compatible with various digital players. The most attractive part is that it has high definition video quality with larger data capacity retained. Also, compared to VHS video recorders, Blu-ray players are more available in many places. So, if you want to play or share the Blu-ray content with others, you can just take the Blu-ray discs in your hand without unnecessary concern about the Blu-ray players. Even more, a lot of computers are equipped with Blu-ray drives. Furthermore, Blu-ray discs have many classifications including rewritable discs allowing you to rewrite various data over and over again with larger capacity supported. Therefore, based on the above comparison, for your convenience in the future, converting VHS to Blu-ray should be a hot trend and a necessary part so as to keep these treasure memories well and play them more easily. Of course, if you want to hold it as a special antique, it is totally OK. For others, it is highly recommended to convert VHS to Blu-ray immediately. Since VHS videotapes are kept in a video recorder which is not in the digital format, the first step to converting VHS to Blu-ray is to change the traditional recorder files to the popular digital formats. Once the VHS files have been changed to the current digital formats, then you can convert VHS to Blu-ray with an additional Blu-ray burning program. Here, for your convenience and efficiency,Leawo Blu-ray Creator can be your good choice. Leawo Blu-ray Creator is powerful in burning all kinds of popular digital videos and files onto Blu-ray disc. It is also powerful in editing the videos and the video templates before burning, including adding 3D effects to the Blu-ray content with original quality retained. 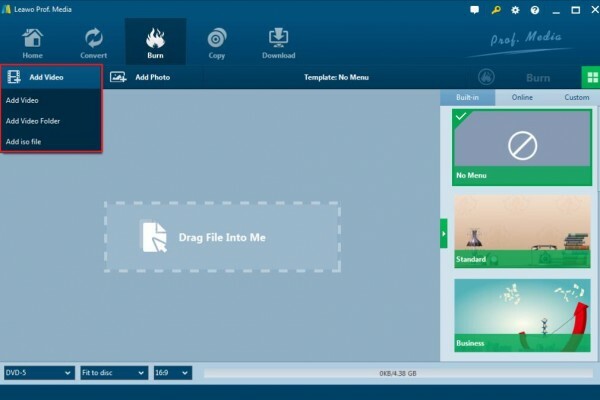 Besides, Leawo Blu-ray Creator can be used as a photo slideshow burner that allows you to make photo slideshows and burn photos to Blu-ray/DVD disc. It supports different types of Blu-ray discs, such as BD50 1080P, BD50 720P, BD25 1080P etc. In addition, users are free to design the disc menu with this software. After burning, users can use it to preview the Blu-ray content with a built-in video player. In order to burn the VHS material to a Blu-ray disc, you should make sure that the VHS has been converted into a digital video formats so as to be compatible with the current Blu-ray burning programs. Next, the tutorial will focus on two parts. 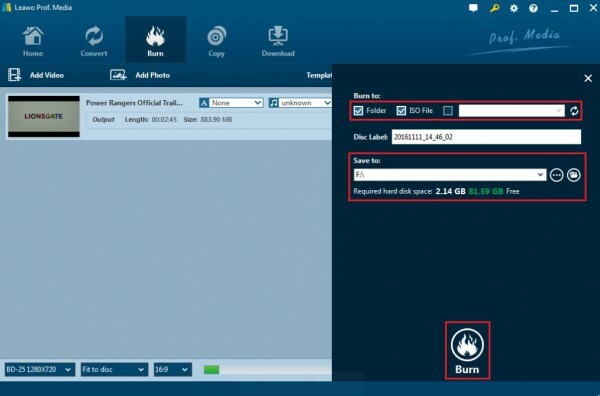 The first section is to introduce how to convert VHS to a digital file, then the second section is focusing on the burning process of the converted VHS file to Blu-ray disc with Leawo Blu-ray Creator. Step 1. Prepare an analog converter device which enables you to transfer the video on the VHS videotape to your computer. Step 2. Connect the analog converter to the video recorder and the computer. Usually the analog converter has an USB portal on one side, and a red-white-yellow RCA cable on the other side. Connect the converter to the video recorder with the RCA cable and put the videotape into the recorder. Then connect to the computer with the USB cable. Step 3. Capture the video on the VHS. Once the converter is connected to the video recorder and the computer, then you can use a Screen recorder to capture the full video playing on the computer. Capture the video and save it in MPEG format on your computer. Pay attention here, in order to make it work smoothly, you need to guarantee that the correct drive for the analog converter has been installed. Step 4. Insert a blank Blu-ray disc with enough capacity to the computer’s drive. 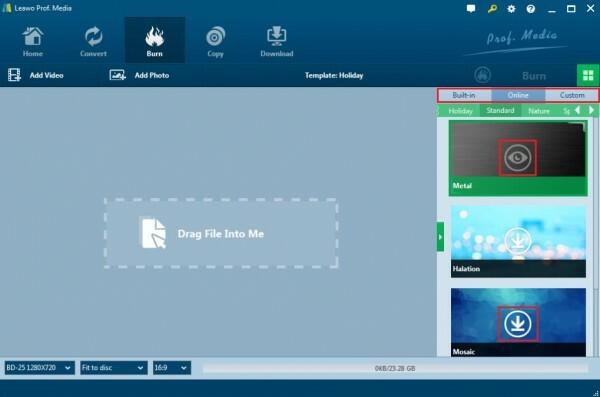 Download Leawo Blu-ray Creator and install it on your computer. Step 5. 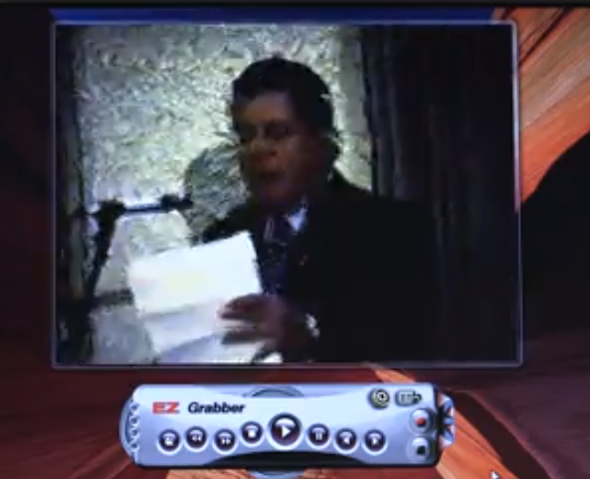 Insert the converted VHS video in MPEG format to the Leawo Blu-ray Creator by clicking the “Add Video” button. Step 6. Set the Blu-ray disc menu. On the right side of the burner, you can find various menu templates. Choose one template and click it to enter the main editing panel. Step 7. Start burning the Blu-ray disc. Click the green button “Burn” on the top right corner and then you will be required to choose the “Burn to”, “Disc Label” and “Save to” options. Once done, click the “Burn” icon below. Just wait in patience, the video will be burned into a Blu-ray disc quickly. Once completed, you have successfully converted VHS to Blu-ray. Whenever and wherever you would like to refresh the old memories, the Blu-ray can be your reach with ease.